To remain in the trading game, you don’t need courage. You need to be consistent. You need to keep your methods and emotions sustainable. Drama and excitement are nice in blockbusters. Profits, not stories, sustain your trading career. Want to be consistent? These 10 trading rules will help. 1. Always know how much you can lose on a trade. And make sure you lose that amount, if you need to lose. The best way to do this is to use a stop-loss order. Enter a stop-loss order when you enter into a trade. Another excellent method is to buy options as they limit your risk to your cash outlay. In the same vein, never add to losing positions. Unless it is part of your trading strategy, and you have already factored in the extra risk. Leaving your potential loss un-capped is the surest way to go bust. As a trading rule, always watch your risk. Knowing how much you stand to lose is the first step. The next step is to make sure that you can risk that amount without getting emotional. Consistent traders do not play with scared money. If you risk an amount you cannot afford to lose, you will reek of fear. You will second guess your trade position the moment you get into the market. Then, your ability to cut loss and let profits run will be impaired. Emotionally, you are a praying gambler, and not a professional trader. To avoid this situation, adopt this trading rule and risk an amount that does not prompt fear. 3. Love to lose small amounts. 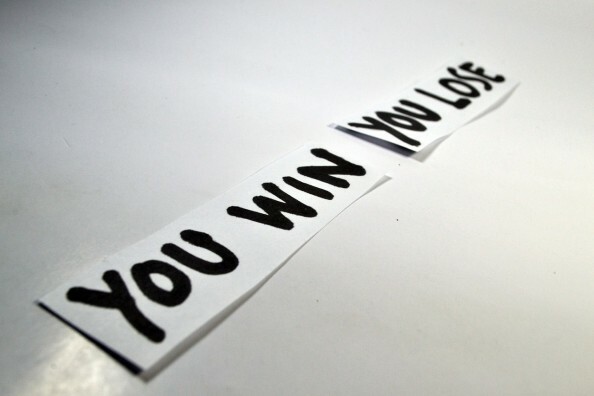 Losing is essential to making money as a trader. Losing small is the key to consistent profits. Make it a trading rule to lose small. But we don’t like to lose. This explains why most people cannot trade well. Trading is probabilistic, and losses are necessary. To trade profitably, you must not only accept losses. You must love small losses. Of course, there is the proverbial “death by a thousand cuts”. Death is certain when you don’t have a trading edge. Assuming you have one, it is easier to recover from dozens of small cuts than one fatal slash. Analysts are in the business of being right. Traders are not. To succeed in trading and become a consistent trader, forget about being right. Instead, focus on making money. Why do we fail to cut loss? Because our ego wants to be right, and cutting loss is admitting that we are wrong. Why do we miss the excellent trade right after the losing one? Because our ego wants to be right and loves to indulge in remorse after a losing trade. It clouds our minds and causes us to miss the next great trading setup. If we are right, we are right. If we are wrong, we are wrong. There is no cause for regret. You are not in the business of being right. You are in the business of making money. Follow this trading rule and lose your ego. 5. Do not try to catch every market swing. New traders want to catch every market swing. They want to short at the market top and buy at the market bottom. They do not realize how damaging it is to their mental and financial health. More importantly, it is an impossible goal. There are wildly successful traders. But there are no traders who caught every price swing on every market time-frame. Consistent traders know that they cannot master the market. Hence, they focus on the part they understand and have an edge in. Then, they limit their risk while trying to profit from it. Hence, adhere to this trading rule – do not try to catch every market swing. 6. Do not worship a trading guru. Every consistent trader has developed a trading method that suits his or her personality. If you want to achieve consistency, that is what you must do as well. The success of your trading guru does not matter, because you are different. Everyone is different and has to discover what works for them. This is the only way evolve into a consistent and profitable trader. Remember this trading rule and never follow any other trader blindly. 7. Keep learning from others and the market. While you should not worship any trading guru, it is important to keep an open mind. Learn from other traders. However, the best teacher is the market. After developing your trading approach, you will find that the market is your best mentor. The market is always changing because the world is changing. The trading rules that used to work might not work in the future. But the underlying principles are always the same. Demand and supply. Human psychology. Keep improving yourself and your trading rules. In a word, “adapt”. 8. Run a trading business. Never treat trading as a hobby. You can make some money some times by trading for recreation. Just like gambling. But if you want to make money consistently in the long run, you must run a trading business. Have a plan with trading rules. Define how much to risk. Establish a research framework. Decide how much profits to withdraw. How frequent. 9. Base your trades on your logic and other people’s emotions. Don’t base your trades on tips, fads, patterns, opinions, news, or earnings. You can factor them into your analysis, but ultimately your trade premise must be logical to you. Also, remember that the best trades play on the emotions of others. Want to work out a winning strategy? First, understand the logic of your trading ideas. Then, exploit the emotions of other market players. 10. Know when to break the trading rules. We are talking about the market. It is a chaotic mess of human emotions and agendas. It is not something that we can define, manage, and conquer with rigid rules. This is why, gradually, you should learn when to break rules. Even the trading rules we talked about above. We will not adhere to the trading rules just because we read them. We need to understand, remember, and practice the trading rules over time. Eventually, we will internalize them. Focus on one trading rule at a time and work on it. Looking for consistency in your trading? 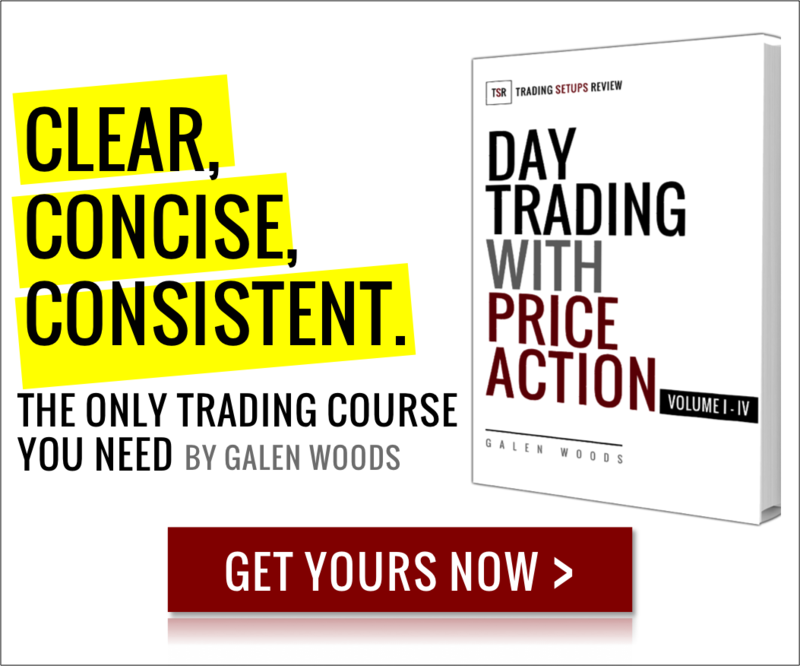 Learn how to trade with a clear, concise, and consistent price action course. Very good article. Clear and to the point. Thanks..